I get now why they called him Bird. That this wisdom should be granted to me at the end of my forty-second year, while watching the thirtysomething Nuyorican alto saxophonist Miguel Zenón tear a hole in the world at Smalls a couple of Tuesdays ago, is perhaps not surprising. Except that he wasn’t trying to incarnate the spirit of Bird. Nor was he trying to imitate birdsongs, like Dolphy, or Messiaen. I didn’t hear Bird, or birds, but bird, the Platonic ideal of bird-ness. I saw it, too: he was hopping from foot to foot—then his body started to jut up and down in irregular pulses, bending at the knees and waist—then he went up on his toes, his back arched, face cinched up, eyebrows raised—wings thrown out—the moment’s levitation a few inches off the basement floor … It was only after that my brain leapt to the feathered vertebrates now believed to have descended from dinosaurs, and then made the association to Charlie Parker, and I thought, This is why they called him Bird. As the titles of his albums suggest (Jibaro, Esta Plena, Alma Adentro), Zenón has built his career as a composer and bandleader drawing on and refiguring the music of his native Puerto Rico. Even the less emphatically Puerto Rican Awake (2008) features a cover photo of Zenón on a New York City rooftop, echoing the photos early Puerto Rican immigrants would send back to their families. These are the sorts of echoes one hears throughout Zenón’s music—not Latin jazz as it has traditionally been conceived, but a Latin-inflected contemporary jazz: Caribbean folk spoken through a tightly-honed, harmonically bold post-bop idiom. At Smalls, Zenón took advantage of the intimate atmosphere fostered by family and friends (and aficionados, and tourists) to present a series of new compositions, which, he announced, reflect on the specifically Nuyorican experience. 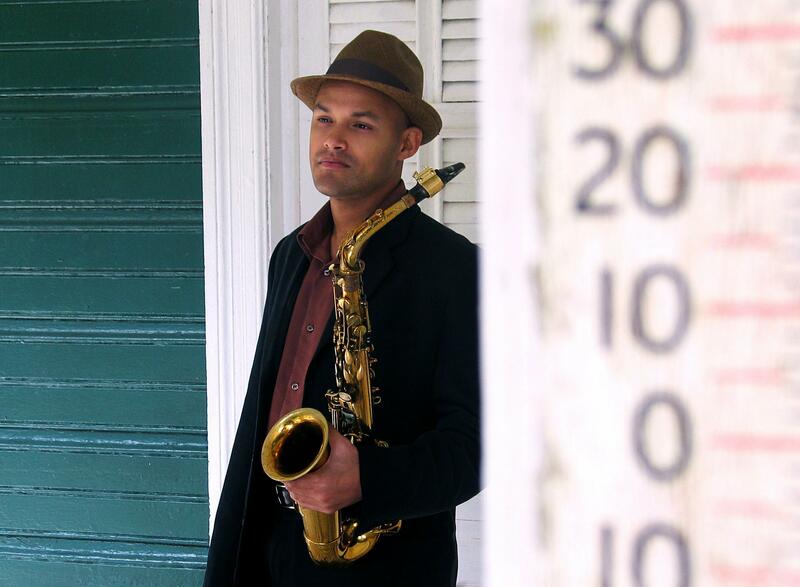 * It is some of the most exciting music the young composer has produced to date—a music which aggressively asserts its Puerto Rican-ness, while at the same time gracefully negotiating the pitfalls confronting the consciously “ethnic” jazz composer: on the one hand, of trying to be, as the Spanish say, “more Catholic than the Pope” about one’s identity; on the other, of the folk element becoming jazz’s window dressing rather than the music’s interior life, its beating heart. 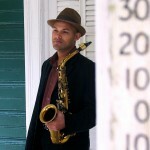 The liner notes to Esta Plena (2009), which Zenón penned himself, give a clear indication how consciously he approaches the composing and improvising process, a process at once rigorous and arbitrary—rigorous perhaps because it is arbitrary—that informs every aspect of the music: rhythm, melody, harmony, form, and instrumentation. At its best, the music’s Caribbean undergirding harmonizes with its jazz expression in a way that invigorates both traditions, while stopping short of fusing them into a single entity—that beautiful photo of the dancing couple on the cover of Alma Adentro. Probably the first thing that strikes a listener new to Zenón’s music is its nimbleness about time. It is a music where odd meters (fives, sevens and nines) are played as freely as any Viennese waltz—or conversely, where an arrangement can dramatically call attention to a meter’s oddness: in the rhythmic Grand Guignol of the set-ender “First Language,” for example, drummer Henry Cole whacking out dry sevens on his snare while the bass and piano held fast to a stolid four against it, and Zenón weaved melodic lines around the three of them. Much of the rhythmic brilliance of these compositions derives from such well-placed counterweights, from the opening tune’s pecking single note on the piano to the violent schisms of “First Language.” Nor is it just odd time signatures that create these effects, but the rapid changes between them, and between the instruments that play in them. Just as quickly as we think we’ve grasped a Zenón melody, the time changes: the same phrase might be tested against two or three different meters, sometimes all at once, in a technique Zenón calls (according to Bob Blumenthal’s liner notes to Awake) “rhythmic dimensions.” A melody, it seems, isn’t there just to be played, but tinkered with, each tinkering revealing something new about the phrase and the notes that constitute it. Zenón does the same as a soloist: one phrase, many rhythms, accenting different notes, giving the band time to tinker, too, until he’s played it out—then a sudden sprint, or a soaring high note, or a party-favor trill. I don’t mean to suggest a hesitancy about his soloing; there isn’t that sense of seeking one hears in later Coltrane (sorry, probably an overused signifier about Coltrane), or the sort of overdeliberate thoughtfulness of John Scofield’s guitar. A lot of players will stop, listen, regroup, try a phrase a few times in different directions before finding a new groove. It’s part of the grammar of improvisation. But there’s none of that in Zenón’s playing. The style is forthright, the ideas pour out of him. And if an alto can never have quite the muscle a tenor does, Zenón’s comes close, pushed along by the sheer volume of his ideas. There is real strength in his playing, the surprisingly firm grip of a small-boned hand. That edge to his sound, coupled with the mercurial energy of his rhythms and the harmonic intricacies of his compositions (and, need it be said, his flabbergasting technique), comes in handy when it comes times for a ballad. One wrong turn in a ballad, and an alto player can wind up in the proverbial elevator with Kenny G. But Zenón’s ballads always have these crosscurrents that cut the saccharin. “Progreso,” from Esta Plena, is a good example. It begins with an über-nostalgic, almost Beatlesy melody, arranged as a sort of processional for the piano. Later, the melody is picked up and played solo by the horn. Then the whole rhythm section comes in behind him—playing not the processional, but a slow, teasing funk, giving a swagger to the sweetness, leaving nostalgia behind. At the Smalls set, the second tune worked in a similar way: a lovely melody, but played against chromatic-sounding changes. The melody alone would have been too sweet, the changes too directionless and abstract. They shouldn’t have worked together, but somewhat miraculously they did, the melody giving the changes needed direction, the changes reining in the melody’s excesses. As usual I find myself speaking about the leader at the expense of the band, Zenón’s working quartet for his last three albums; each is an impressive player in his own right. Luis Perdomo’s piano solos were as extensive as any taken by Zenón, who sat at the end of the bar to dig them together with the rest of the crowd. They nicely complemented the bandleader’s style, alternating between the percussive and the fluid, uncanny echoes of McCoy Tyner and Maurice Ravel. As for Cole, I’ve never heard a drummer sound more like a timbale player, at least at the outset of his big solo … but then he built outwards to the rest of the kit, inviting the other drums in like dancers on the edge of a circle, as if to suggest the evolution of jazz from that mythical northward migration, beginning not in New Orleans, but all the way down in the Caribbean, the first African presence in the New World: a direct line joining Puerto Rico to New York. When Cole was finished, Zenón stepped back into that pleasantly punishing seven-on-four. The club was already an hour late for the open mic, though I can’t imagine anyone was complaining, least of all the other musicians, huddled in the back like spies with their mysteriously-shaped attachés. I left Smalls on a madrugada high, marveling at the sheer amount of energy of the human species. I had a whole cartoon looping in my head: sun heating the planet green, energy absorbed by these creative ambulatory plants, plants exploding into flower on a bandstand, in a club, in New York, on any given night. But then maybe it was just that sort of night. At West 4th a couple of vagrants got on the train, pushing their bikes through the relentlessly closing doors. One of them announced to the other passengers that he was a serial killer, he had cut off his stepfather’s arms so he (his stepfather) would never hit him again, bragged that mental institutions were only ever able to lock him up for a few days at a time, and then started beating the poles with a chain. A mass exodus at 14th Street to the adjacent car, where three teens put on a breakdancing show starring an old, laceless tennis shoe. They threw it like a football, shot it like an arrow, caught it behind their heads and in their armpits, put it on and kicked it off, fêted it like it was Cinderella’s glass slipper. And all this while they danced and flipped and swung around the poles. See? That’s what I’m talking about: energy. Now, I’m not silly enough to think they’d do it for free; but the dollar I gave them—that little bit of my own transmuted energy—hardly plumbs the miracle of their intent. On some nights the whole city seems to glow like a crack pipe, the very buildings sweat light; and we, the poor folks who live here, are just vectors for all this helplessly accumulated energy, gnats inside a concrete matchbox, looking desperately for release. * I’m guessing the Smalls sets were one more live working-through of the music Zenón would present with a 12-piece big band at Montclair State University a couple of weeks later, under the title “Puerto Rico Nacio en Mi: Tales from the Diaspora.” Regardless, it will be interesting to see what final form these compositions assume when they are recorded. This entry was posted in What I'm Listening To and tagged concert review, jazz on February 12, 2012 by helldriver.